Yet another set of traditional sculptures but this lot is near the departure exit to the carpark so I’ve seen this lot often…more time to concentrate on them. 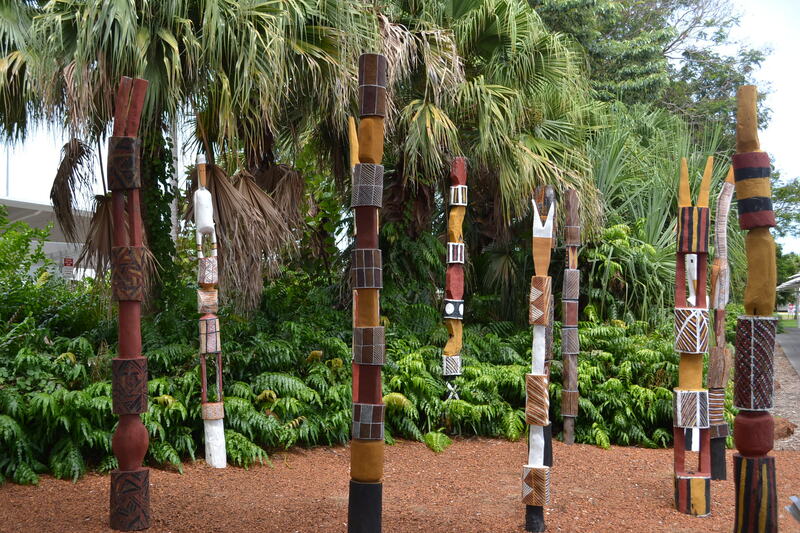 These are pukumani poles, traditional Tiwi artwork usually used as grave markers. It’s funny the things you don’t see when you’re focused on travel. I’ve never noticed these before. It’sc alled a Mimih forest. 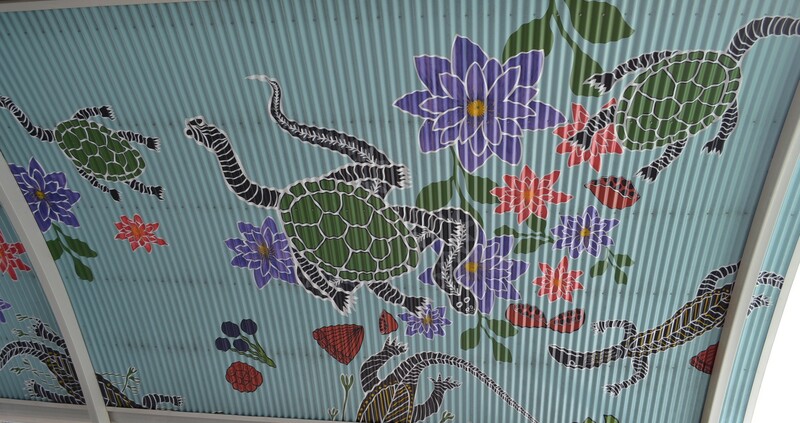 Mimihs are tall slender spirits who live in communities like Aboriginal people. 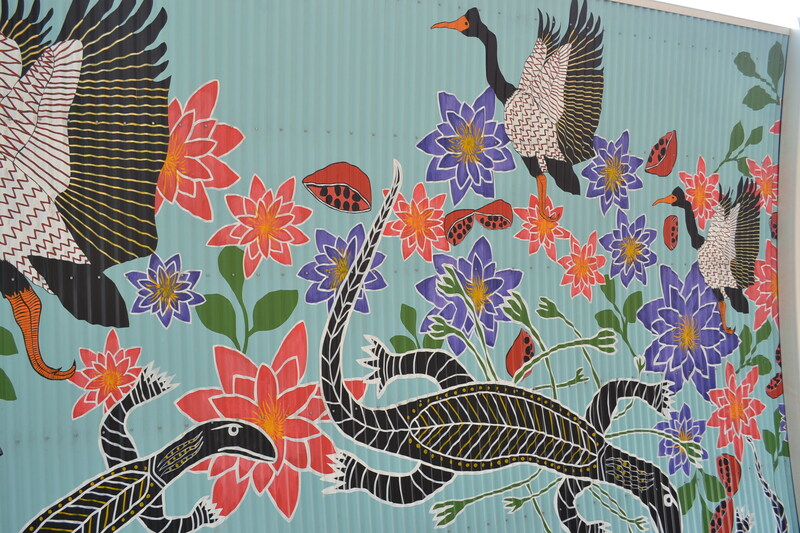 The artwork is by artists from the Maningrida area. 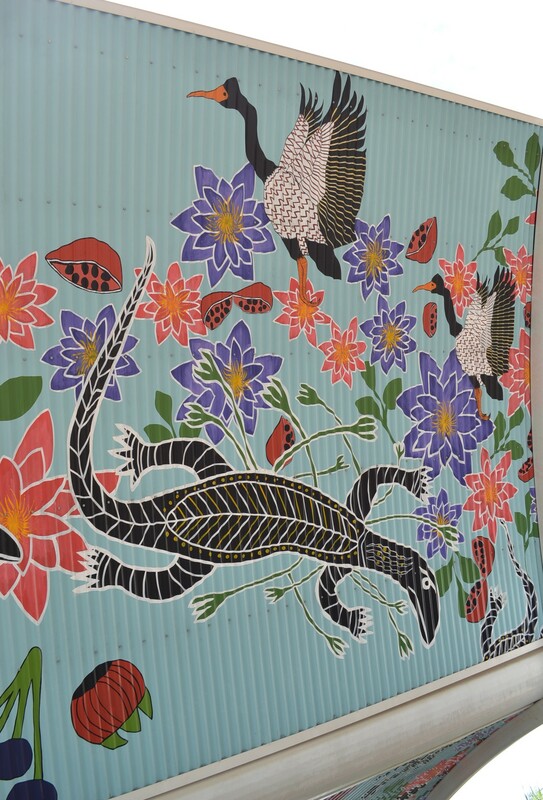 Here is some more of Darwin airport’s artwork. 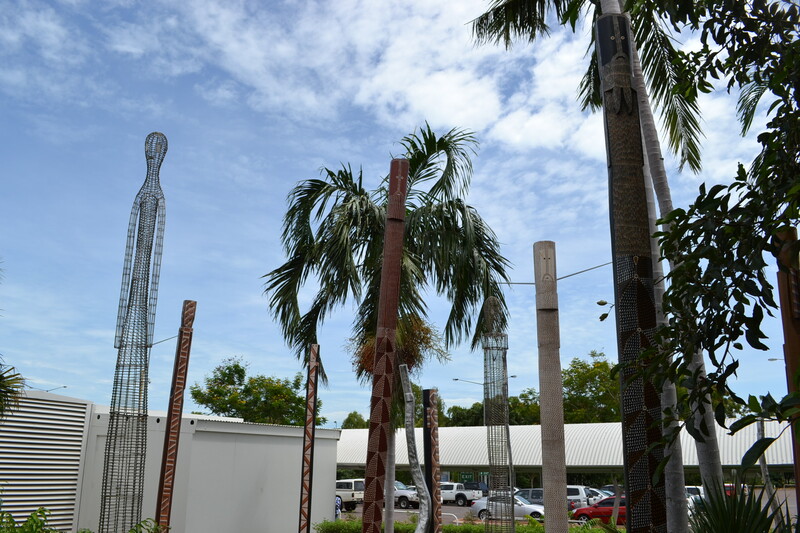 Darwin airport has some unusual artwork which is very typical of the Top End. 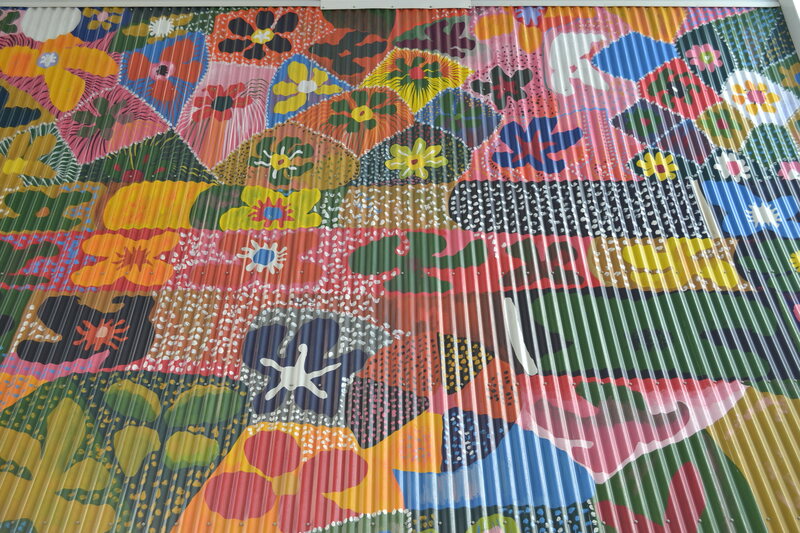 These are some of the awnings that protect passengers as they go into/out of the airport. I’ve returned this week from two weeks in Queensland. While at the airport en route south, I took some pictures of Darwin’s airport environment. 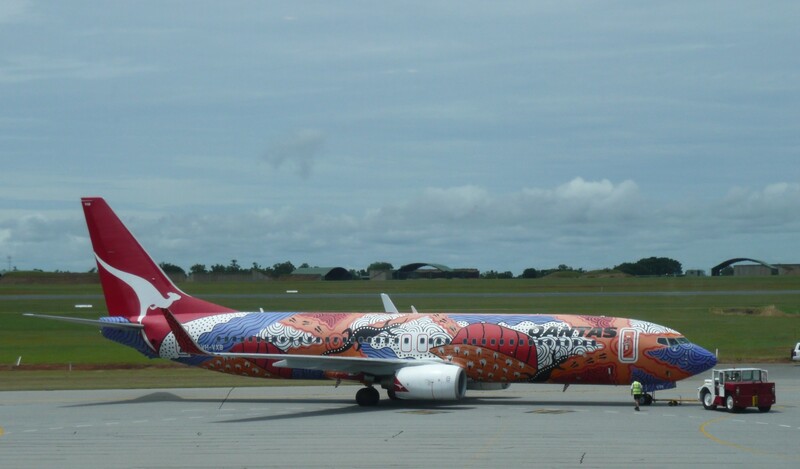 I like this one of the Qantas plane in its indigenous paintwork. In the background you can see the hangars which house the RAAF jets.